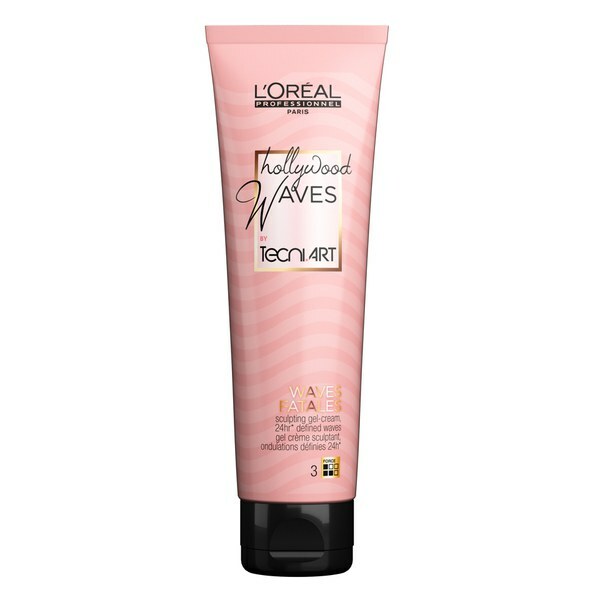 Effortlessly create waves and curls with the Tecni Art 'Waves Fatales' Gel-Cream from L'Oreal Professionnel, a brand who combine advanced research and professional expertise to allow you to achieve your desired hair style. Ideal for medium to thick hair types, the gel-cream provides medium hold for a long-lasting finish and enhances shine to leave hair radiant. Formulated with lightweight, water-based technology and infused with styling polymers for defined curls and bouncy locks. E.N. Apply to damp hair, comb through. Blow dry and then barrel tong curls in sections. Clip each curl up until cool and then unpin for big bouncy curls. Pull your fingers through and break up the curls for more of a beach wave effect that lasts. For curls without heat, apply to damp hair and braid in sections. 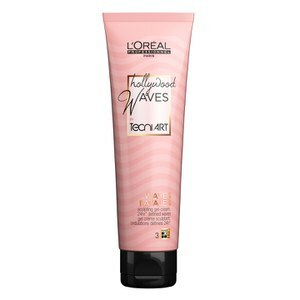 Once dry, unbraid to reveal bold waves and curls.